The record 1990 to 2000 expansion will be eclipsed in July 2019. That will put the current expansion at 121 months, or 10 years plus a month. It is likely that the expansion will continue throughout 2019 and into early 2020. The bull market in stock prices set a new record for longevity. 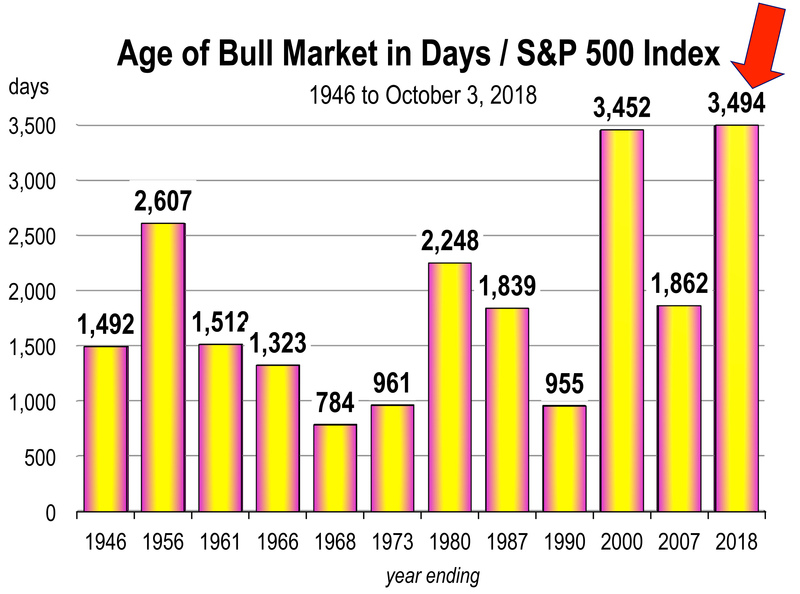 A total of 3,494 days from March 10, 2009 to October 3, 2018 eclipsed the previous record of 3,452 days during the 1990 to 2000 stock market run. If the S&P index reaches another record high, the current pull-back represents a temporary pause and the long bull market would be extended. And this is unusual at this late stage of the expansion because the strongest surges of growth normally occur the recovery phase of the cycle. 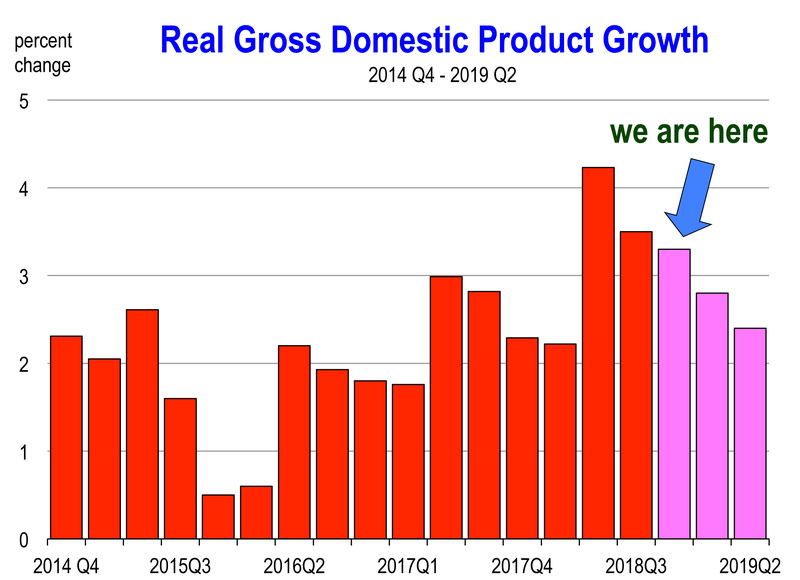 GDP growth jumped to 4.2 percent in the 2nd quarter and the initial estimate for the 3rd quarter is 3.5 percent. We estimate a 3.3 percent growth rate for the quarter that we are in now. The nation’s unemployment rate of 3.7 percent is the lowest rate of unemployment since 1969. If you want a job you can have one. 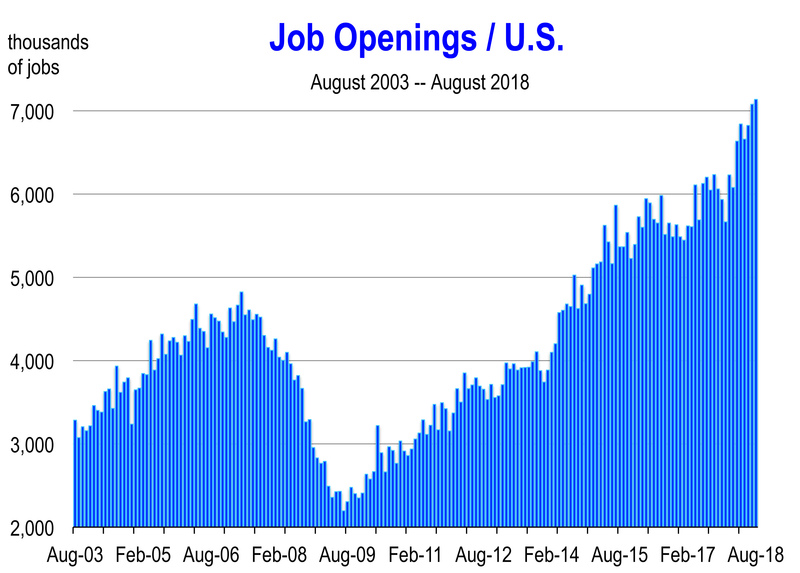 There are 7 million job openings—18 percent more than a year ago—and more than there are people to fill them. Ironically, this is occurring at a technological time in which many entry level jobs have been eliminated by automation. For the 12 months ending in September 2018, the average wage and salary income rose by 3.1% year-over-year. 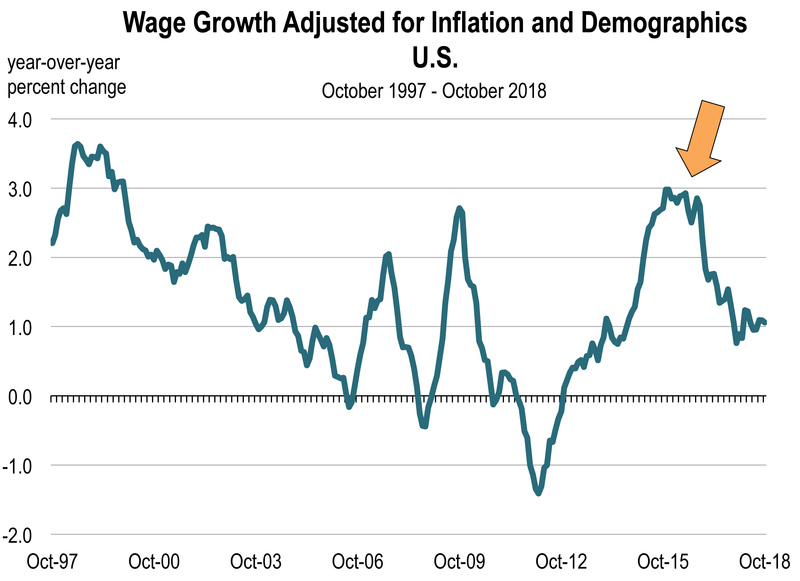 During the 12 months ending in October 2000, when the average unemployment rate dropped to 4%—as it did during the span ending in September 2018—wage and salary income soared by 4.2% annually. 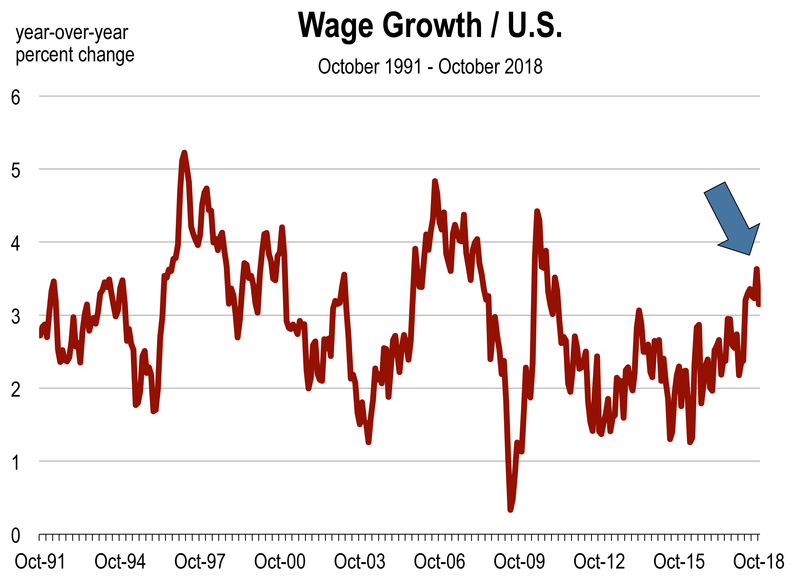 And in California, the growth of wages and salaries during 2018 is the highest in 18 years. Despite rising wages, rising home prices, rising rents, and rising construction costs, the general price level has not increased much. There are higher rates of inflation in California but no runaway inflation. 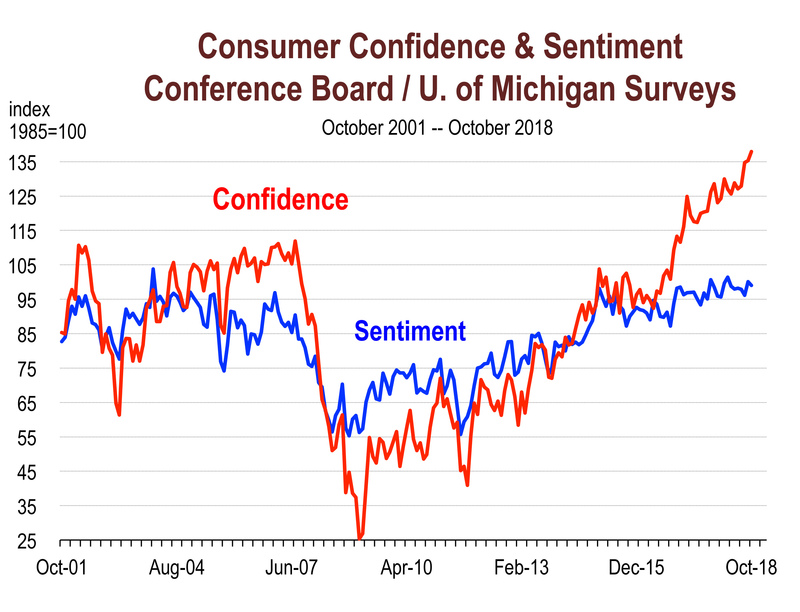 U.S. consumers are still extremely optimistic about current economic conditions and future economic conditions. 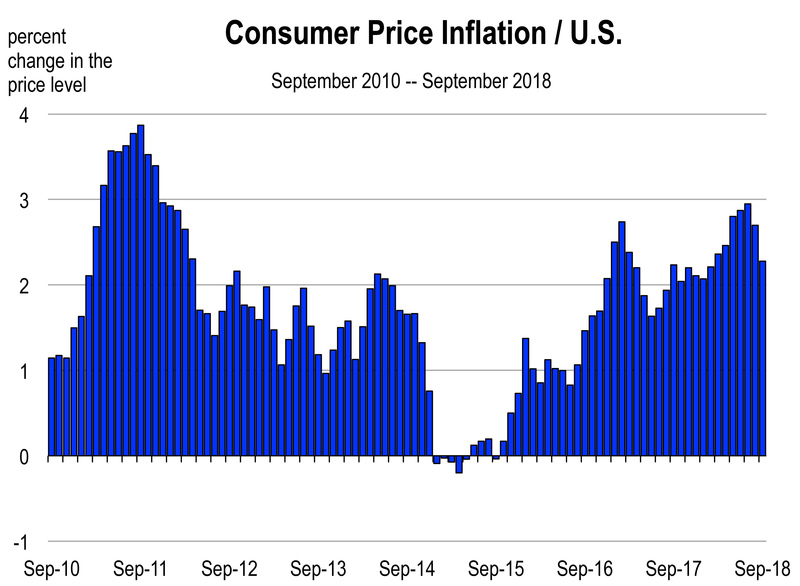 The index levels for October 2018 are some of the highest ever recorded in a series that began in 1967. 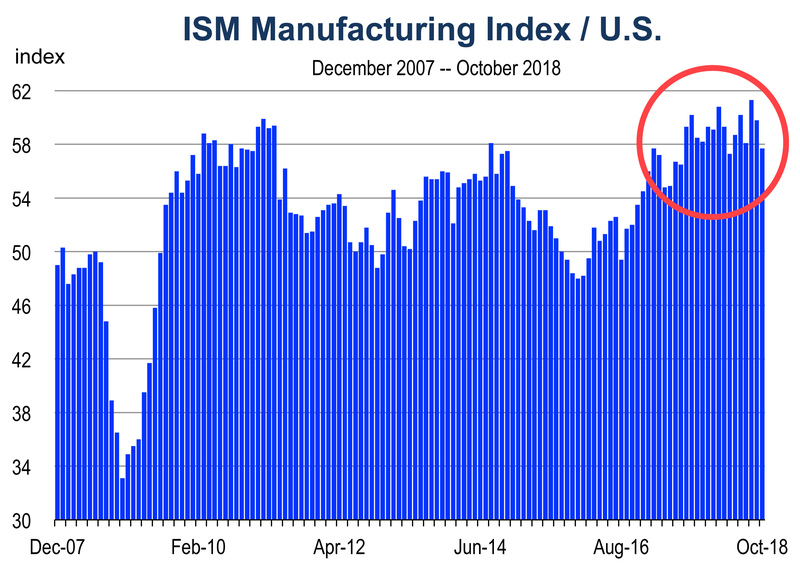 The ISM manufacturing index, which measures the expansion of manufacturing in the U.S., continues to show surprising strength. The August index rose to its highest level since 1984. September and October were slightly lower but still solid. Furthermore, over the last 15 months, more than 360,000 manufacturing jobs were created, the most for any 15 month period since the mid 1990s. There are no surprises because the Federal Reserve announced long ago their methodical plan to normalize monetary policy and so far, they have stuck firmly to it. 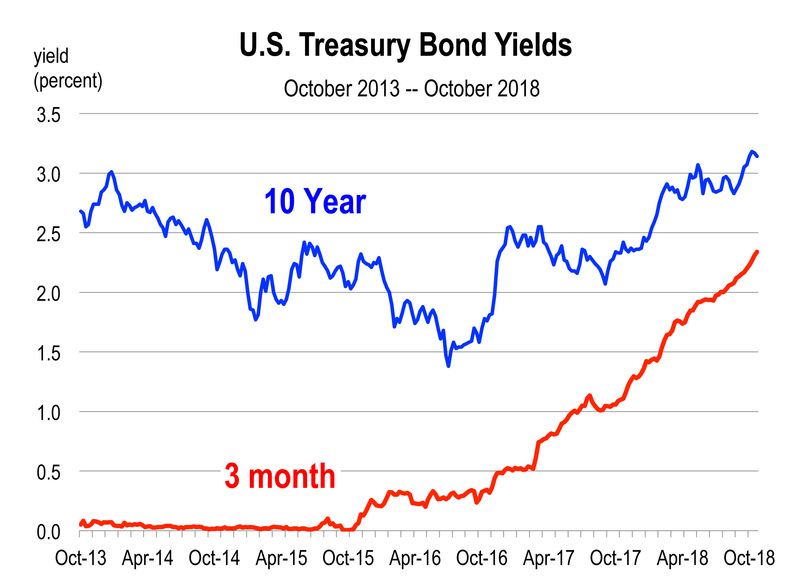 Consequently, all federal funds rate increases have been anticipated by investors and this has enabled the financial markets to continue their record breaking journey despite rising rates over the last 2 years. In tandem with the stock market, home prices have been rising continuously for the major part of the expansion. The median selling priced home in most major markets has now eclipsed its previous peak set during the housing bubble days of 2005-2006. 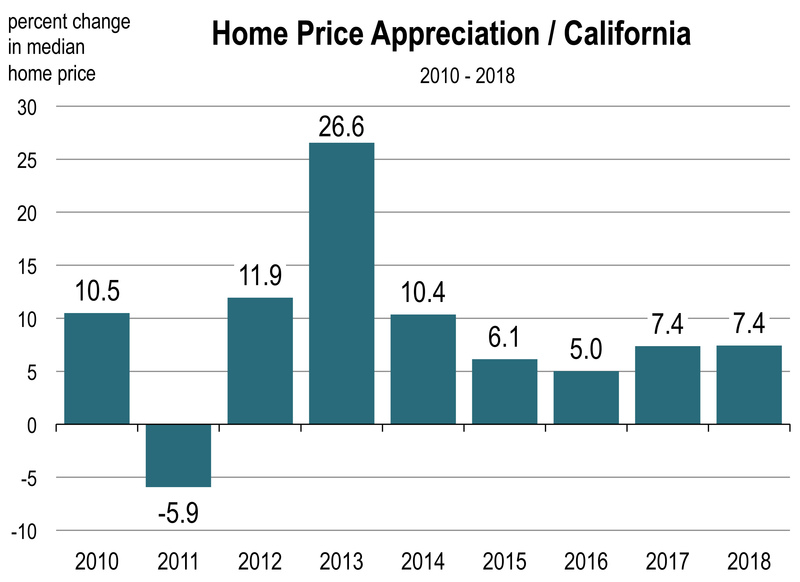 This year, so far, home price appreciation in California remains quite strong despite all the claims that the housing market has softened and its days are numbered. The California Economic Forecast is an economic consulting firm that produces commentary and analysis on the U.S. and California economies. The firm specializes in economic forecasts and economic impact studies, and is available to make timely, compelling, informative and entertaining economic presentations to large or small groups. « Wildfires in California: The New Normal?